The Hometime Chip Shop Tour with Maldon Salt will see presenters Bush and Ritchie travel to the heart of local British communities – the chip shop – this week to celebrate the heritage British brand in a unique campaign spanning radio, digital and social – with Absolute Radio’s lively audience of ‘reluctant adults’ at the heart of the action. Hitting the road in a specially-commissioned Maldon Salt mobile truck provided by promotional vehicle experts Promohire, The Hometime Chip Shop Tour with Maldon Salt will kick off in Edinburgh and visit various fish and chip shops up and down the country, stopping at local landmarks and tourist attractions, nominated by the station’s audience, in a true celebration of local communities. 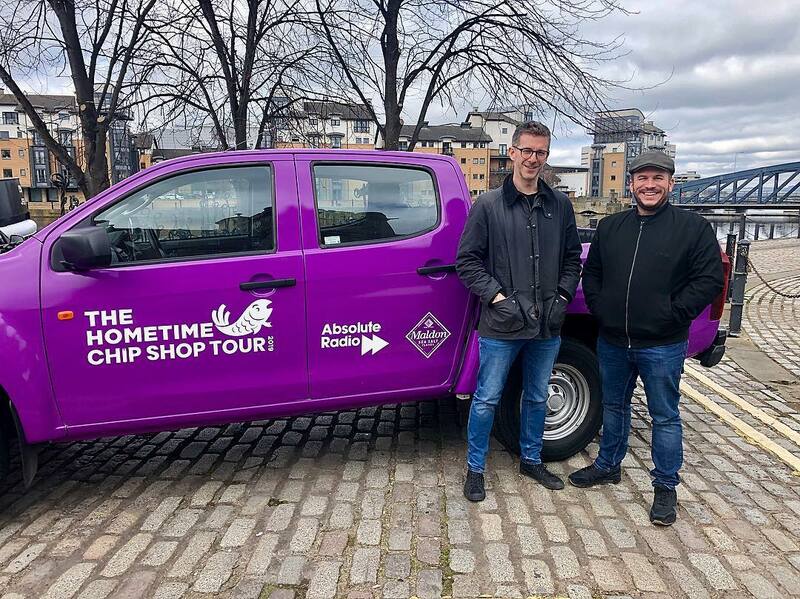 The winner of The Hometime Chip Shop Tour with Maldon Salt will be decided by the Hometime listeners and will be awarded a bespoke ad created by Absolute Radio, voiced by the winning shop with Absolute Radio talent and a trophy designed by listeners.